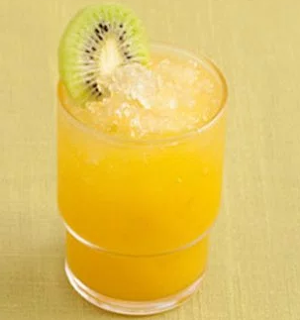 Recipes to Make Pineapple Punch Soda Simple .This drink does feel very delicious when served cold. But no less delicious with a menu of fresh drink other which provides a soft and refreshing in the throat. Formulated with natural ingredients and simple does not reduce the typical taste in hasilkannya. Pineapple used in this recipe is very qualified and healthy so it is very safe when we eat them. The content of issued was very helpful and useful for our body. This drink is perfect eaten during broad daylight like this. Therefore we share Recipes to Make Pineapple Punch Soda Simple especially for you. Well now you can make it yourself at home easily by way of follow recipes that we share this time and good luck! Please go see the ordinance making well below. Ripe pineapple, sugar, cinnamon, cloves, salt, and water until thick. Chill. Enter in the blender. Add shaved ice. Blend until smooth. Pour in a glass. Pour fresh cold soda and vanilla ice cream. Serve. Then Eat with care so that feels good. 0 Komentar Untuk "Recipes to Make Pineapple Punch Soda Simple"